When on The Exchange, I am attempting to download literally anything at all, lots, sims for example. Yet, nothing will download. I have used it previously so I know the way it works but nothing is working, when I attempt to download it asks me if it can launch the Sims 3 launcher (which I already have open), I agree, yet nothing goes to the download tab. I have make sure everything is up to date, my laptop and game, I've made sure all my internet settings are correct, that I can download pop ups for example and allows pop ups. But I still cannot do it? I don't know where to go from here.. I have checked all over posts and answers yet none have worked for me. 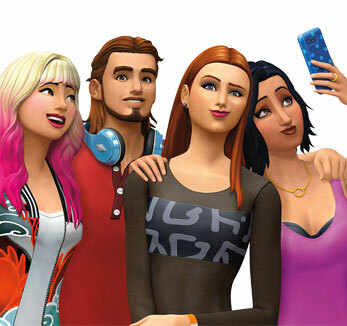 I can't stand playing the game without any extra clothing and lots etc from The Exchange, its to the point where I'm considering just buying Sims 4 but I love Sims 3 so would really love to figure out the issue. @emmafmhall It's good to keep the launcher open, as you're doing, but you might try selecting a different Sims 3 "app" to open the downloads. At different times, I've had to use the base game icon or the one for my newest pack by release date (University Life, in your case). Also try a different browser—Safari is known not to work well with the store. (The same is true of Chrome.) I use Firefox and have never had an issue. If none of this helps, pull your entire TS3 game folder out of Documents and onto your desktop. Launch the game to create a new folder; there's no need to go farther than the Main Menu. Try downloading an Exchange file into this new folder. If it works, download the other stuff you want, and then move the downloaded files (in Downloads) from the new folder to the old one. Then trash the new folder and put the old one back, and you should be able to install your new content. Thank you! I will try downloading FireFox and see if this works. I dont know if it will cause any issue, but when I load the launcher the icon on my bar is the last expansion pack I downloaded which is university life. The launcher loads if I click the university life icon but if I click the Sims 3 button nothing happens? Could this be affecting it? @emmafmhall That sounds normal, or at least what's normal some of the time. I have to open my launcher too, and then pick the correct icon to open the download. But it does work in Firefox, usually.